Do Wissota Sand & Gravel products meet ASTM International standards and Department of Transportation (DOT) specifications? Yes. 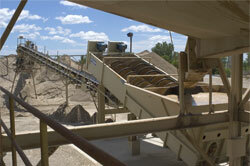 All Wissota Sand & Gravel products meet the ASTM International and Wisconsin DOT specifications. 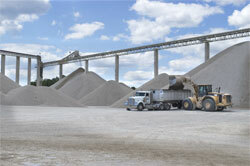 Do Wissota Sand & Gravel products comply with local, state, and federal standards? Yes. Wissota Sand & Gravel products are in compliance with all local, Wisconsin, and federal regulatory standards set forth by the Mine Safety and Health Administration (MSHA). 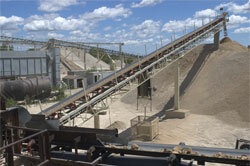 Wissota Sand & Gravel has operations in Milwaukee, Wisconsin. Our administrative office is in Eau Claire, Wisconsin. For the convenience of our customers, Wissota Sand & Gravel delivers products within a 25-mile radius of Milwaukee, Wisconsin. at (262) 644-5112 or toll free at (800) 239-7401. How quickly can you get my order to me? Wissota Sand & Gravel strives to meet all of our customers' needs and expectations regarding products and services, including prompt delivery. We will work with you to make sure you get your products when you need them. For the benefit of our customers, our in-house trucking firm makes same-day deliveries possible. For more information, contact Daryl Schmidt, supervisor/sales, at (262) 644-5112 or toll free at (800) 239-7401. Monday thru Friday — 7:00 a.m. to 5:30 p.m.
Monday thru Friday — 6:00 a.m. to 4:30 p.m.
What forms of payment does Wissota Sand & Gravel accept? 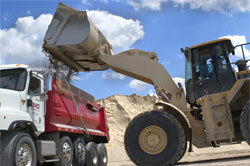 Wissota Sand & Gravel accepts cash, check, and Mastercard. Small quantities of products must be paid COD (Cash On Demand). All other types of orders can be paid for by cash, check, or Mastercard, net 30 days. For more information, contact Daryl Schmidt, supervisor/sales, at 262) 644-5112 or toll free at (800) 239-7401.
toll free at (800) 239-7401.